The title says it all! A must see! 3 Presentations about errors in PSA……PSA = Prepare to Solve Apnea! This website is just fantastic for all ED Physicians doing U/S. You can see lectures, cases images etc. Take a look and learn more and more about U/S! Am J Emerg Med. 2009 Oct;27(8):916-21. doi: 10.1016/j.ajem.2008.07.007. Despite guideline recommendations that patients with potential ACS and new or presumed new LBBB should be treated similar to STEMI, ED patients with a new or presumed new LBBB are not at increased risk of AMI. 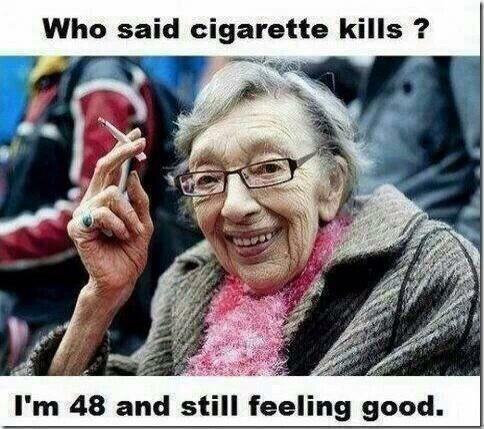 If patients (and your children) tell you cigarettes don’t kill you can show them this picture ☺….Show your colleagues! Recently I admitted a 40 year old man with large central pulmonary embolisms. The diagnosis was simple, since he had a swollen calve and dyspnea since a few days. His vital signs were stable except for a tachycardia of 105/min an a respiratory rate of 20-25/min. Me and my resident admitted the patient as we do always. We gave him LMWH and put him on the ward, without telemetry. But then a few hours later we admitted a 75 year old man with atypical chest pain 2 hours before coming to the ED. In the ED he was symptom free. Still we admitted him a he was put on telemetry. If you look at these 2 patients I would say that the 1st patient “deserves” telemetry much more than the second patient. For EMDutch I will do a literature search about telemetry, but for know I was wondering how you feel about this PE patient. Should he be put on telemetry or not??? See you next time on EMDutch and hope to see your vote in the poll! ← What does a fat pad sign mean (in children)?